Online shopping on a budget is definitely not the easiest thing to do. It's kind of a little overstimulation... There are so many great online shops out there, so many products and items and most of them are just way too expensive when you're on a budget. Continue reading to find out the best online shops to shop at when you're on a budget. SheIn has to be the number #1! It's one of the best places to shop for great quality fashion pieces for the most incredible prices. 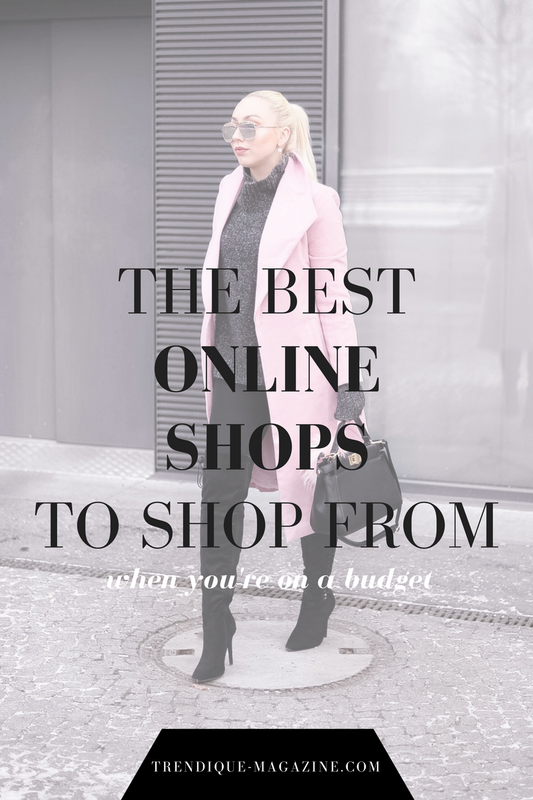 Definitely the best place to shop from when you're on a budget! Pretty Little Thing is one of my most current discoveries and I seriously can't believe it took me so long to find this online shop. They're having a huge selection of all things fashionable. You will definitely find something you always wanted for unbelievable prices as well. Missguided really grow over the past few years and is now one of the top online shops. Even Carli Bybel did her own collection for Missguided and it was a success! Who doesn't love Asos?! They do have items for every budget and some designer pieces as well, but you can easily find some great bargains on Asos. Now, Forever 21 really improved over the past years. They are really true to trend at the moment. So, if you're on a hunt for great quality trend pieces- go give it a try! Love your shades. Cute pink duster jacket. Love your baby pink jacket hun! I love how you styled it with a dark outfit because it really makes the coat stand out :) Have an amazing day! Nowadays there is more option to shop online but people confused How to find the best online shops to shop on a budget .I also purchased some stylish clothes from tilly's which give exclusive deals on all fashionable clothes and accessories with great discount using promo codes. Love your Goggles and i prefer the same to my elder sister and she looks really adorable in those glasses. That was pretty attractive and i bought it with the help of cupshe accessories at discounted price value from Cupshe.